Group C Gabon - Niger - Morocco - Tunisia Gabon With not much expected from the other co-hosts, Equatorial Guinea, much of the pressure will be on Gabon to light the fuse and provide the fireworks. With a population of just over 2 million, when it comes to competing at a sport as global as football Gabon are at a disadvantage before even a ball has been kicked. Yet they have made remarkable strides in recent years, mainly thanks to the work of, the now ex-coach, Alain Giresse – part of the victorious France Euro 1984 team and part of the famous ‘Magic Square’ in that team. They narrowly missed out on qualifying for the 2010 World Cup and qualified for the African Cup of Nations, rising to a peak position of 30th in the FIFA rankings. The Panthers’ expectations were high heading into the 2010 Cup of Nations, but despite a historic 1-0 victory over Cameroon, Giresse was subsequently sacked due to the failure of making it to the knock-out stages. His replacement was Gernot Rohr, the German coach who guided a Bordeaux team - which included Zinedine Zidane and Bixente Lizarazu - to the 1995-1996 UEFA Cup final. 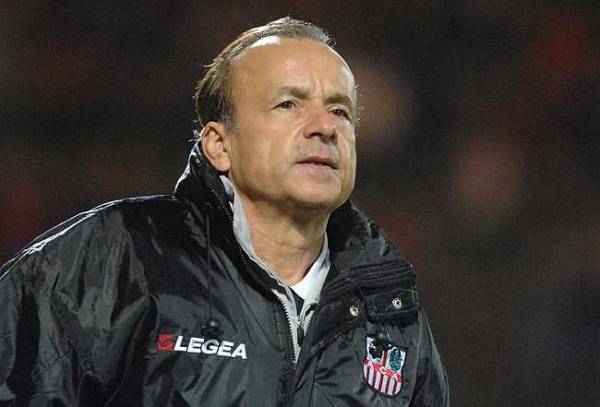 Can he ROHR Gabon to the title? An easy target was set by the Gabonese FA for Gernot Rohr: Win the 2012 Cup of Nations. No pressure. In terms of individual ability, Gabon don’t have much to dance about. Daniel Cousin (once of Glasgow Rangers and Hull City, now of Sapins) is their captain and talisman and followed by the pacey Pierre-Emmerick Aubemayang (St Etienne). There is experienced in midfield through Eric Mouloungui (Nice), Cedric Muoubamba (Bitam) and Bruno Zita (Dinamo Minsk) – the trio were members of the playing staff in the 2000 African Cup of Nations for Gabon. Goalkeeper Didier Ovona (Le Mans) is also experienced and capable of heroics, as Cameroon would testify from their defeat in the last edition. Rock-like centre-back Bruno Manga is a regular starter for Lorient in Ligue 1 and 18-year-old Andre Biyo Poko (Bordeaux) was an integral part of the Gabon side which won the CAF U-23 championship (and qualified for the 2012 London Olympics) last year. Prediction: The opening fixture against Niger provides Gabon with an opportunity to dismantle one of the weaker sides at the tournament and provide them with the confidence and get the crowd on their side. It’s important they win the group and avoid Ghana. Neutral? Looking for a team to support? If the answer to those two questions is “yes”, then Niger is your team, according to Gabriele Marcotti. Incredibly, although not surprising considering it is Africa, the Niger government introduced a tax system on mobile phone usage to help pay for the team’s participation in the Cup of Nations. The fear is that teams will beat Niger with the entitlement of a taxman coming to collect their due. Ranked 98th in the FIFA rankings, this is Niger’s debut appearance in the Cup of Nations. They were the only team to qualify with a negative goal difference, the team to have qualified with the most losses (3) and the most goals conceded (8). They lost all their away games and had the group winners, when level on points, been decided on goal difference rather than head-to-head record I wouldn’t be previewing them. Ouwo Maazou - the main slayer. However, for all their faults, coach Harouna Gabde has turned them into a somewhat solid outfit which beat countries with far more resources in all their home games so they are here by merit and I do have to preview them. The principle goal threat and the key man for Niger will be Ouwo Maazou (Zuite Wageren) who scored in both slayings of Egypt and South Africa, blessed with wonderful aerial ability and explosive finishing, he doesn’t need more than a chance to score – he finished joint-fourth in the goalscoring chart of the Belgian Jupiler League with 14 goals in the 2008/2009 season. The rest of the team play in the lower leagues of Europe – Olivier Bonnes (Lille OSC reserve team, fourth division in France), Willian N’Gounou (IF Limhamn Bunkeflo, third division in Sweden) – or are dotted around the world in various leagues. Prediction: By qualifying Niger are already winners. Without home advantage and playing against a higher quality of teams, they won’t progress, but by trying hard they should make all those at home paying taxes proud of them. 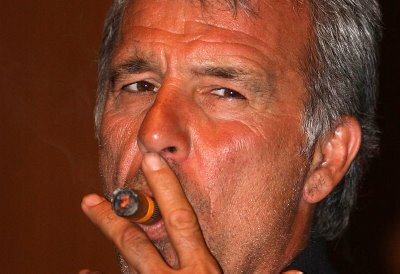 Making their 14th appearance at the finals, in Eric Gerets the Lions of Atlas they have the most well-decorated manager at this year’s finals with league titles in 4 different countries on his managerial CV – league titles in Belgium, the Netherlands, Turkey and Saudi Arabia. On a personal note, I have to say I really like this Morocco team and think, if they can win the group and avoid Ghana (although they can give them more than a good game), they should be able reach the semi-finals. Eric usually Gerets what he wants. Defensively, they are disciplined, diligent and well-organised. Mehdi Benatia (Udinese), nominated for Serie A defender of the year, is the defensive lynchpin with a penchant for marauding runs. The rest of the sturdy backline is completed by Abdel El Kakoutari (Montpellier), Michael Chretien (Bursaspor) and Badr El Kaddouri (Celtic). Lining up in a flexible 4-4-2 system with intense pressing from the front, the wingers are more than willing to venture back and help out the full-backs. Attacking-wise, Morocco can be goal-shy – 7 of the 8 goals they scored during qualification came during 2 games. Four of those goals scored came against an Algerian defence that is usually very well-organised and one of the most difficult to unlock – just ask England. From this, we can say that when Morocco get going then they can dismantle any team on their day but, equally, there are times when they struggle to score. And with Chamakh, the Moroccan Andy Carroll, as the lone spearhead of their attack you can understand why. The ever-lively Youssouf Hadji (Rennes) is an experienced player at this level and he should be able to contribute some goals. Chamakh and Hadji both played in the final and captain Houssine Kharja (Fiorentina) goalkeeper Nadir Lamyaghri (Wydad Casablanca) were part of the squad. The experience, with regards to the forward line, ends there and you have rough, exciting diamonds who will be at their first tournament. Younes Belhanda (Montpellier) is enjoying a good season and his vision and range of passing should create chances. Another one to watch is Oussama Asaidi (Herenveen) who is also enjoying a good season with 7 goals in 16 games. Mbark Boussoufa (Anzhi) and the temperamental Adel Taarabt (Queen’s Park Rangers) should provide additional creativity if it’s needed from the bench. Prediction: Quarter-finals at least, darkhorse material as no one seems to be tipping them to go far. Marouane Chamakh should look more of a footballer at this level. There’s an exciting balance of experience with youthful exuberance and a lot of in-form players. With a manager as accomplished as Eric Gerets in charge they should be approached with the sandals of caution. Tunisia are the Germany of African football, without the efficient winning (their single African Cup of Nations on home soil in 2004 aside), of course, but their results are spectacular by African standards considering how unspectacular they usually are. This will be their 10th consecutive appearance at the finals – a sequence better than any other team in the finals. There’s nothing spectacular about Tunisia yet they usually make the World Cup where they don’t make any sort of impact. And they’re here again. The Eagles of Carthage finished second in their group and qualified as the best runners-up with 14 points. Halfway through their campaign they were in danger of not qualifying for the Cup of Nations after a poor string of results which included two 1-0 defeats home and away to Botswana and manager Bertrand Merchand was subsequently sacked. Sami Trabelsi, once captain of Tunisia, was his replacement and he steered Tunisia to qualification as they won the rest of their games and conceded no goals. Their defence, then, is a stereotypically solid foundation that we have become accustomed to. Centre-backs Karim Haggui (Hannover) and Ammar Jemal (Young Boys, on loan at Koln) should be more than solid defenders at this level. Offensively, Issam Jemaa (Auxerre), the leading scorer of all-time for Tunisia, was the top scorer during qualification for the tournament with 6 goals, though his place in the squad was touch-and-go due to injury concerns. They possess a group of individuals who were part of Esperance’s 2011 African Champions League-winning team – notably Oussama Daragi, who was named the best African-based player in 2011. 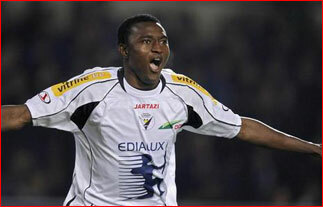 Zouhaier Dhaouadi (Club African) should be able to provide goals from midfield. For what it’s worth, Tunisia are the current holders of the 2011 African Nations Championship (a competition whereby nations have to pick locally-based players only), thumping Angola 3-0 in the final. Prediction: It’s difficult to know what to expect with Tunisia although the number of locally-based players is worrying, lack of creativity and one of the most inexperienced managers at the finals could be their downfall. The Group A preview is here. Group B here. Group D here.